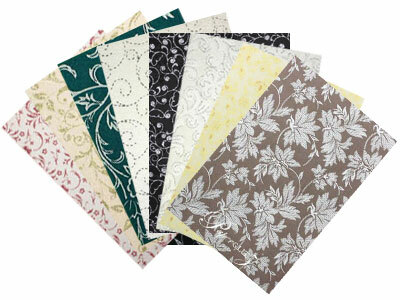 The highest quality handmade cotton papers from India at affordable pricing. Our handmade papers are made from only 100% first grade recycled cotton, with no cheap wood pulp as fillers which diminish the paper. 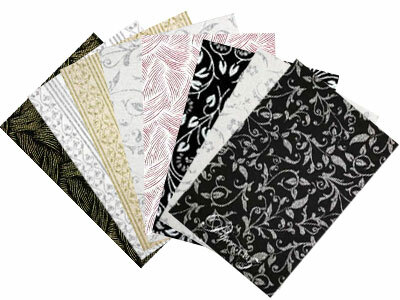 Some of our chiffons have a new recycled cotton & viscose blend. 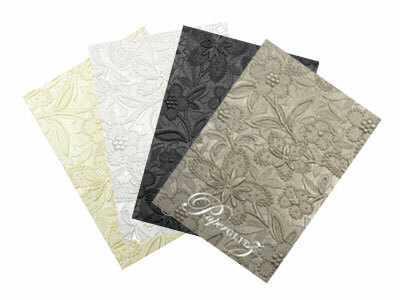 Our handmade paper ranges include embossed papers, glitter print papers, chiffon papers and flocked papers. 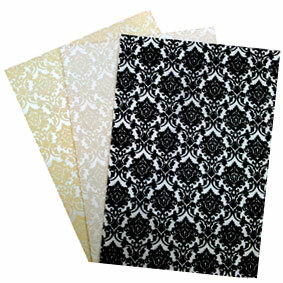 Buy with confidence and specify only "Genuine Paperglitz Handmade Papers" for your next project.